Those don't seem like joyful Christmas songs, now do they? But hang in there with me. How about the old classic "I Heard the Bells on Christmas Day"? That song was not written from a cheerful time or place. 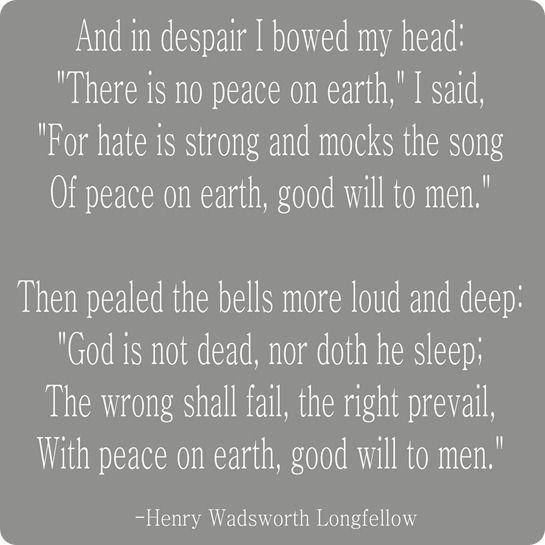 According to Wikipedia, Henry Wadsworth Longfellow wrote the poem "Christmas Bells" in 1865, which was the basis for the famous carol. 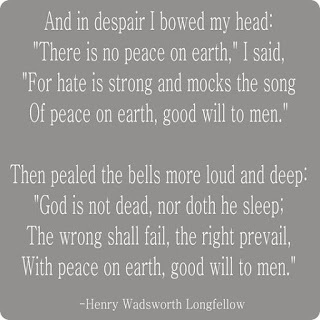 Longfellow had been grieving the loss of his wife, who had tragically died in a fire in 1861. He also had been shaken when his son had been severely wounded in the Civil War in 1863.
on Christmas day, he was overcome with misery. But as they continued to chime, his grief was replaced with a sense of hope! And isn't that what we want Christmas to represent to us? The message of hope for all people, as told in the Biblical story Jesus' birth? A renewed sense of joy for the grieving and comfort for the suffering? The giving of gifts to those in need? I'm so glad I learned the true story behind the traditional "I Heard the Bells" song which was written more than 150 years ago. I find it so inspiring! But I didn't expect to be so inspired by some of the famous musicians from my high school years. Both Queen and Michael Jackson were biggies back in the day, which for me was the 1970's and 80's. I still get down with my bad self when I hear their tunes! I'll just betcha didn't realize that they produced touching, despair-to-hope, love-your-neighbor-as-yourself Christmas songs. But they did. Please read the lyrics and listen with an open mind, all the way to the end of each song. This Christmas, I am not in need of food, shelter, or clothing. And I've been given renewed joy, hope and faith. I'm so grateful! However I do have some needs right now. One of them is forgiveness for hiding behind a wall of self-centeredness for quite awhile. I kept my pity pool behind that wall too. You know, so I could wallow in it occasionally. I've avoided dealing with folks who I feared would be too demanding of my time and energy. For a long time, I felt that I just didn't have much to give! * So I've been asking for divine help to love others more freely and unconditionally. Yep, I need to make that change. 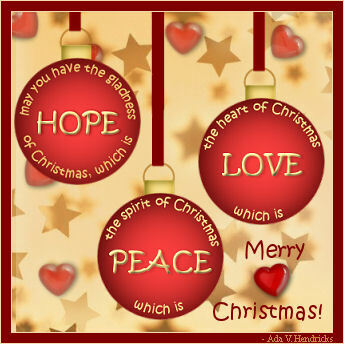 This Christmas is the perfect time. *See my previous "Facing My Monsters" posts.